Dolly Parton - Writing "I Will Always Love You"
During a recent conference call with several music journalists, country legend Dolly Parton talked about her songwriting, particularly how she wrote her classic song “I Will Always Love You” (which was originally a country hit for her in 1974). Then she also recalled the joy she felt, when she learned that Whitney Houston had recorded her song. Houston’s version of “I Will Always Love You” subsequently became one of the biggest hits of the 1990s, and was featured in the hit movie The Bodyguard and its mega-platinum soundtrack album. Parton also discussed her new album release, which is a children’s album called I Believe In You. Parton wrote and performed all of the songs on the album, which includes mostly new compositions, plus a new rendition of her classic song, “Coat of Many Colors.” Notably, all proceeds from this album will benefit Parton’s Imagination Library, a book-gifting organization that has mailed more than 100 million books to children in the U.S., United Kingdom, Canada, Australia and Belize. 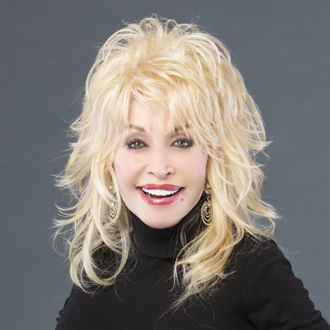 Parton launched Imagination Library over 20 years ago. Here are some highlights from the conference call with Dolly Parton. What inspired you to write your classic song “I Will Always Love You”? And then years later, what did it mean to you, when Whitney Houston recorded your song and it became one of the biggest hits of all time? Dolly Parton: Well, that’s a very good question. That song is so deep-seeded in my heart and in my soul. Back in my early days, I worked with a man named Porter Wagoner. (Parton was the featured star on Porter Wagoner’s TV show for seven years). And we had one of those relationships—we were either so much alike that we couldn’t get along, or we were so different that we couldn’t get along. But we had a great love…it’s kind of the love/hate relationship. And I had told him at the start that [someday] I wanted to go out on my own, and to have my own band. But it was very very hard, and he had a #1 television show at the time, and for me to leave, it was gonna take a big hunk out of his show. But I still wanted to [move on]. So anyhow, after much fighting, with all the love and depth that we had for each other, I wrote that song to try to say, “Here’s how I feel…and I will always love you. But I have to go and have to leave.” And it was a very hard song. But when I sang it to Porter (and he loved the song), he said, “Okay, you can go. But let me produce that record.” So it was personal to us. Then years later (in 1992), when Whitney recorded it, I didn’t know she had done it. I had sent it out to L.A., when [the film’s producers] had asked for some of my music. Kevin Costner and his secretary had loved that song. So I sent it out, but I hadn’t heard anything about whether or not they recorded it. And then (one day) I was on my way home, and I turned the radio on, and all of a sudden I heard that a capella part, and it was just like Woo-Hoo, what’s that? I knew it was something familiar. And then by the time it dawned on me what I was hearing, when Whitney went into the chorus, I had to stop the car because I almost wrecked it. I thought my heart was gonna just bust right out of my body. It was the most powerful feeling, I guess, that I’ve ever had. ‘Cause it was such a shock, and it was so great, and Whitney sang it so good, that I was just overwhelmed. 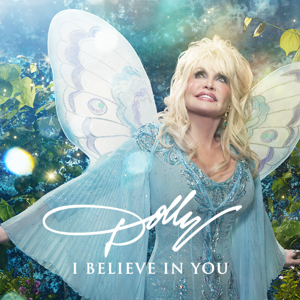 The cover of Dolly Parton’s new children’s album, I Believe In You. You’re such a prolific songwriter. What’s your songwriting process, and what spurs you creatively? Parton: Well, I have so many ways of doing it. My favorite thing, if I have the time, is to take a couple weeks off and just go somewhere and just write songs. But that’s not as apt to happen these days as it was in the past. But I can write songs anywhere. I always keep a notepad by my bed at night with a tape recorder. I’ve always got a notepad everywhere. I do my best thinking when I’m traveling, so I can write anywhere. And I never know when a song is gonna hit me. I write a little bit of something every day, either an idea or a title or a few lines. If I’m lucky, I can write a few songs per week. Was your songwriting process for your children’s album, I Believe In You, different from your other albums? Parton: It was fun for me, because the biggest part of the songs in this album were inspired by the books that we give away through the Imagination Library. And every time we give out a new book, I’ll write a song loosely based on the idea of what that book is about. The very first book that we give out is The Little Engine That Could, so I use a line from that book, I Believe In You, which has that positive thinking…just like that little engine. These songs were fun for me to write because I love childern, and I have so many little nieces and nephews. I practically raised five of my younger brothers and sisters. So I’m very close to my family, and so I like to write things for them too, to have [songs] to entertain my little nieces and nephews when they come to visit and play with me. So these were fun songs to write. Your song “Coat of Many Colors,” which was also recently a TV movie, has resonated with generations of fans. Why do you think the message of your story—one is only poor if they choose to be—needs to be shared with today’s children? Parton: First of all, I think children love to see other children in movies, and I think that they love to see how other people live, and I really think there’s a need for families to pull together more. I think we’re so apt to babysit our children with television or with games and all that. So I really think, to just pull the family together, to have more love, and kind of that faith-based story, I think people are kind of hungry for that in this day and time. I know I miss things on television like Little House On The Prairie and The Waltons. [Those shows were about] when things were simpler and not so complicated, and not so scary out there. So I think the ratings were good for (the TV movie) Coat of Many Colors, because I think people are kind of longing for that. What are your favorite songs on the children’s album? Parton: Well, I like them all for different reasons. Of course “Coat of Many Colors” has been done in so many ways and so many times, and now we have a children’s book also. Probably on the more personal level, I like the little song “Chemo Hero” because it was about a family and a brave little soldier. It’s just about children and how they’re facing a lot of fears and doubts, whether it be illnesses or going through divorce with their parents. So that meant a lot to me. Also, the little song “Makin’ Fun Ain’t Funny”—I think it has such a good message for this time. I always say my songs are like my children. And I expect them to support me when I’m old (laughs). Some songs are prettier than others, but I love them all. The proceeds from your album are going to your book-gifting organization, Imagination Library. Why is children’s literacy an important topic for you? Parton: It’s very important…I think all children should be able to read. I actually started the Imagination Library over 20 years ago. I did it in honor of my father, who was never able to read or write. And so my dad got to help me with it, and he felt very proud for me to be doing that, and involve him in it. And he got to live long enough to see it doing well, and so he got such a kick out of people calling me the book lady. I just think it’s important, because if you can learn to read, you can educate yourself about any subject. You don’t have to have money. If you can’t afford to go to school, there’s a book on anything you want to know. But it’s not going to do you any good if you can’t read. So that was the main thing about starting Imagination Library, inspired by my dad, and knowing how important it is.